Oh man, this is so helpful. I’ve always found that whole African/Indian thing really confusing. Could you do one for Indian Elephants as well? Thanks. Yes, absolutely. But I will need some time to do the proper research. These things can be quite nuanced. I am going to speak to the British Government to see if we can get a species. London Zoo has a few in it’s enclosures. Picture of Big Ben and the Shard looming in the background and a cage with some kid waving a flag. That’s just Art waiting to be drawn. 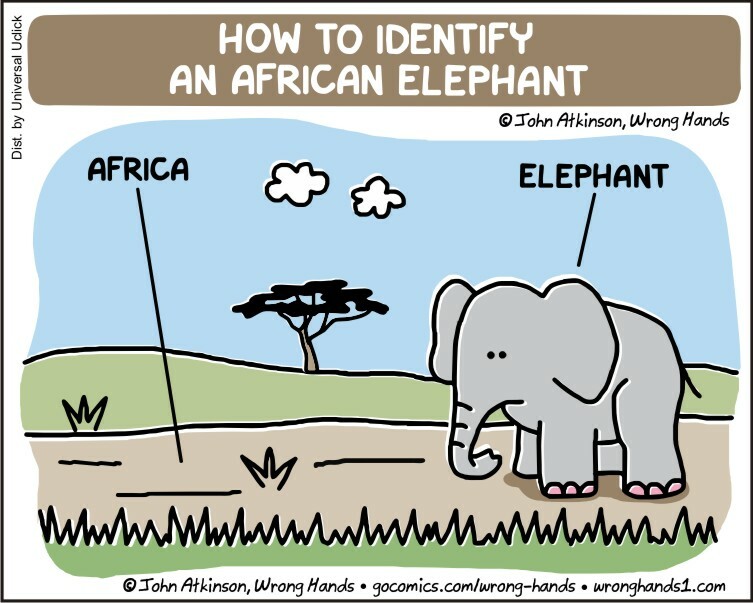 But what if it is an Indian elephant on safari in Africa??? Hmm…good point, but I feel like he would have luggage with him. Yes, he’s got a trunk. Just one trunk. He’s a light pachyderm. I’ve been telling people for years that there is such a thing as an Iowan Elephant. Some thought I was nuts. Others knew I was nuts – but with this simple tool, used correctly of course, I can prove they are nuts. BTW, elephants like nuts. You should consider drawing something to illustrate this fact. I say “nuts” to the whole thing. Thank you for this wonderful fact and illustration. It must have been hard and time consuming to research this and come to this conclusion. I love that is is so easy to understand! Lots and lots of research, but rewarding in the end.